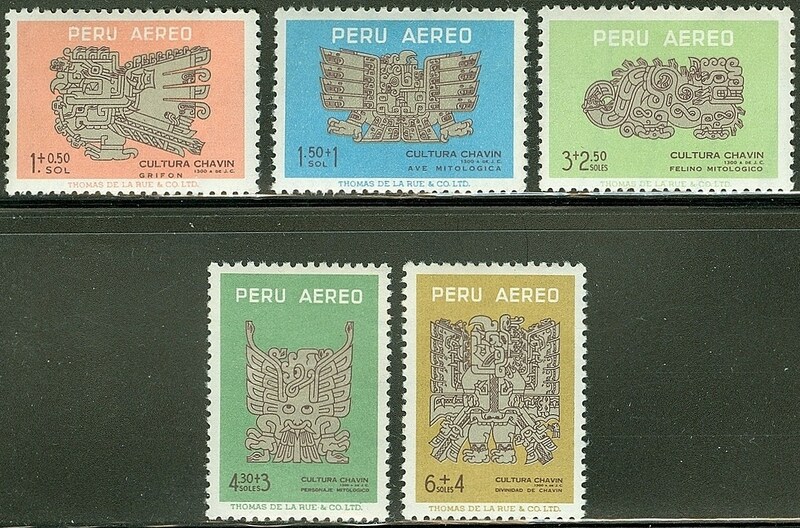 In 1963, Peru issued a set of five airmail semi-postal stamps picturing ceramic objects found at the excavations of its Chavin culture, an early indigenous civilization (Scott #CB1-5). The additional non-postal surtax helped to fund the excavations. 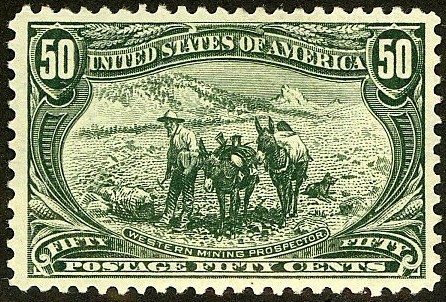 30,000 sets were issued, and Scott '13 prices the unused set at $ 5.35. This currently inexpensive set has appeal as an Art/Archeology topical, and should also do well as Peru continues its economic development. 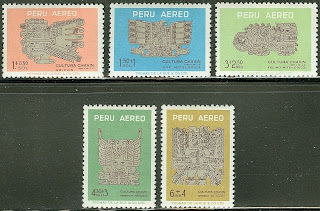 As with all stamps of Latin America, demand is bolstered by the tendency of collectors to focus on the region as a whole.